Byzantine Music is an art of prayer, an art of spirituality, because it is a component of the worship of the Church, and thus a spiritual event in the life of a Christian, for by this art God is glorified. To celebrate the launch of the Triodion, it would be good to emphasize the importance of Byzantine Music as a means of therapy for people from situations which the period of the Triodion makes customary, and at the same time affect man spiritually. A custom is also the “Carnival”, where man gives himself freely to the influences of the fun and revelry of the days, thinking that the songs and music will help him cleanse his soul from the problematic situations that bind him. And, to be clear, I am not referring to traditional music which is part of worship, since after every ecclesiastical feast there follows a celebration with traditional music and traditional dances, expressing popular piety, but I am referring to songs and dances which mislead people away from a true relationship with the Church and culture. “To speak generally and so far as your needs demand, purity of soul embraces these things: to scorn sensual pleasures, to refuse to feast the eyes on the senseless antics of buffoons, or on bodies which goad one to passion, and to close one’s ears to songs which corrupt the mind. For passions which are the offspring of servility and baseness are produced by this kind of music. On the other hand, we must employ that class of music which is better in itself and which leads to better things, which David, the sacred psalmist, is said to have used to assuage the madness of the king. Also tradition has it that when Pythagoras happened upon some drunken revelers, he commanded the flute-player, who led the merry-making, to change the tune and to play a Doric air, and that the chant so sobered them that they threw down their wreaths, and shamefacedly returned home. Others at the sound of the flute rave like Corybantes and Bacchantes. Even so great a difference does it make whether one lends his ear to healthy or to vicious music” (Address to Young Men on the Right Use of Greek Literature). In the passage above Basil the Great stresses the importance of Byzantine Music, considering it as a means by which the soul of man can be purified and receive therapy. This music, which was chanted by David, calms man and leads him to his natural state, which is none other but his relationship with God. The view of Basil the Great regarding its psychoeducational and therapeutic value is based on the fact that every mode of Byzantine Music has a particular characteristic and effect on the psyche of man. Each mode creates a different feeling in people – sometimes doxology, sometimes joyful-sorrow, sometimes solemness, sometimes supplicatory, and sometimes mourning. In this way man healthfully communicates with God, since prayer is not a mechanical condition, but it expresses variously. 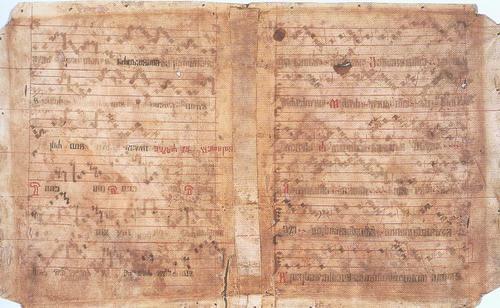 This variety of feelings is created by Byzantine Music, virtually ensuring peace of soul, as well as its purification. The first mode creates in man a sense of doxology. It is the mode which defines the music as art since, as John the Damascene says: “Of all (the modes) you have the first victory.” The first mode raises hope in man for his salvation, since it creates a sense of alertness and devoutness. The second mode creates in man a feeling of thanksgiving, since “your music softens the bones and pleases the heart as the sweetest honey.” Listening to this mode man becomes meek and calm, which is a key component of healthy communication with God and with creation. The third mode is characterized as “without elegance, simple and manly.” This is why it creates in man an unspeakable joy and secret hope. It is a marching mode. The fourth mode is one of “celebration and dancing”. Its music creates in man the feeling of a celebration. It is no coincidence that on two major feasts of the ecclesiastical year, the Elevation of the Cross (Sept. 14) and the Sunday of Veneration of the Cross (Great Lent), which are purely festive days, cruci-resurectional, the Doxology is chanted in the fourth mode. On the feasts of the Annunciation (Mar. 25) and the Entrance of the Theotokos (Nov. 23) the ninth ode is chanted in the fourth mode. Plagal of the first is characterized as a mournful mode. It creates in man a joyful mourning and a sense of supplication towards God. When a person hears this mode they feel strongly in the heart the feeling of joyful-sorrow as well as a personal resurrection. This is why not only the hymn “Christ is Risen”, but also the Resurrection Hymns of Pascha Sunday are chanted in plagal of the first, to emphasize the transition from the Cross to the Resurrection, from mourning to joy. Plagal of the second “brings a double-dose of pleasure.” This mode is characterized by the sweetness of hope. It is a mystagogical mode. It creates within man the feeling of love for God. It is a mode which humbles and sweetens the heart and spiritually regenerates man. Plagal of the fourth is also a celebratory and marching sound. We thus observe the salvific character of the ecclesiastical art known as Byzantine Music. This music covers all aspects of human life. And of course this is the wealth of ecclesiastical art, which always has as a main objective the regeneration and restoration of man. God gave us this legacy to fill our hearts, to feel secure, and not to have to resort to other musical art forms which lead to spiritual corruption. Source: Ekklesiastiki Paremvasi, “Η ΒΥΖΑΝΤΙΝΗ ΜΟΥΣΙΚΗ ΩΣ ‘ΤΕΧΝΗ ΜΕΛΟΥΡΓΟΣ ΚΑΙ ΤΕΧΝΗ ΘΕΡΑΠΕΥΤΙΚΗ'”, February 2005. Translated by John Sanidopoulos.